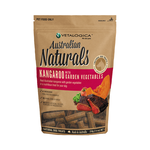 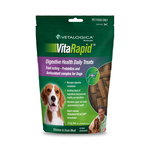 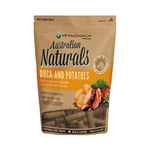 Vetalogica produce two delicious lines of dog treats; Vitarapid health treats, and Australian Naturals. Vitarapid health treats are made with specially designed ingredients to address issues such as stress, allergies, joint issues, digestive problems, hairballs, and oral care. 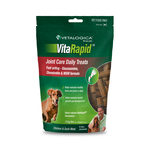 Being in treat form, Vitarapid provides an easy way to give your dog medication or supplements, and treat your dog for anxiety, arthritis, or skin and coat issues. 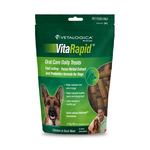 Your pup will just think he's getting a tasty morsel! 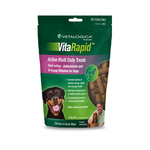 Wondering how to train your dog, or which treats are best to use for training? 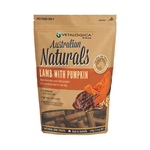 Australian Naturals Treats are designed as a tasty reward perfect for use with toilet training, puppy training, obedience, or as a great help for teaching your dog how to do tricks.